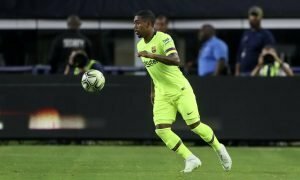 Arsenal ready to make move for £13.4m Spanish international | The Transfer Tavern | Where football transfer rumours fly or die! Arsenal fans in the Transfer Tavern have been covered in dust as they wait by the TV’s for the official announcement of Mohamed Elneny’s arrival but they’ve kicked up a storm with their latest discussion. With the dust now floating in the air, the asthma sufferers at the bar have had to evacuate as the Gunners faithful get excited ahead of another potential deal- as Mundo Deportivo state Arsenal are ready to move for Nolito. The Spanish international has adorned the gossip pages of the tabloids for the past few months after a sensational season so far with high-flyers Celta Vigo, which has also attracted the attention of Spanish giants Barcelona. Whilst the interest of the Catalan club presents a potential problem, Arsenal want to move past that issue by matching Nolito’s £13.4m release clause. 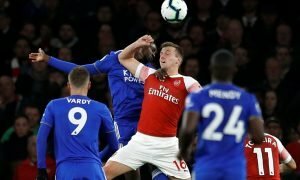 Arsenal are currently perched top of the Premier League table but our landlord believes more attacking signings are needed to provide competition to Olivier Giroud and Theo Walcott. Arsenal fans, is this a deal you want to see your club get over the line? Let us know in the comments below!